Back in the beginning of 2016, the skies unleashed its winter fury on the state of Kentucky, leaving many drivers stranded in their cars. Some found themselves stuck overnight, with nothing but bottles of pop to keep them going. Others stayed in the same spot for almost an entire day, watching their food supply run out. And then there were others who waited for roadside assistance, only to spend hours and hours before seeing any sign of help. Why are we telling you this? Well, it’s not to scare you. It’s a reminder that winter is around the corner, but more importantly, that you need to prepare for it. And one of the most important tools in your winter driving arsenal is an emergency car kit. But with that said, what goes into it? And why should you spend money on one? Let’s answer that last question first – why should you spend money on an emergency car kit? It’s true that prepping your car for winter is a strain on the wallet. You gotta get the winter tires and then you’re told you need to take your car to your mechanic for a tune up. 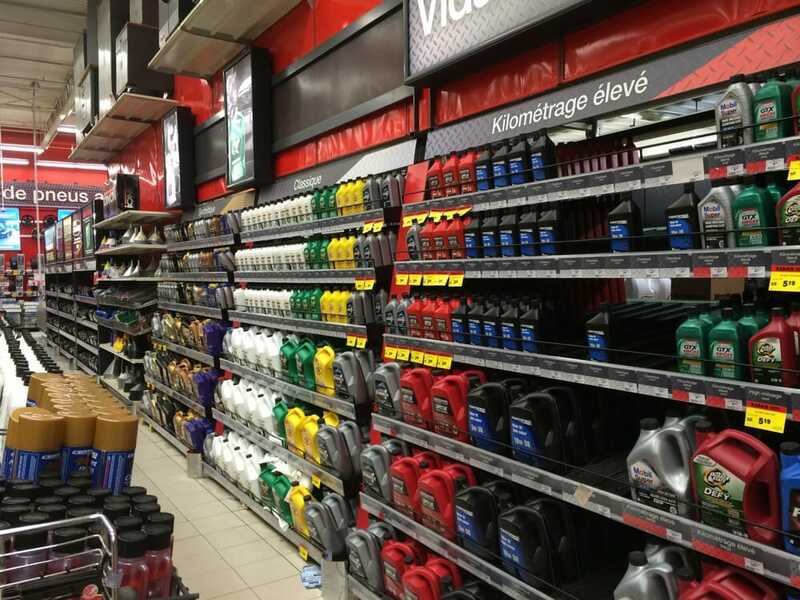 And of course, you have to get all the smaller items like antifreeze and winter mats. You might even have friends or family members telling you to get a CAA membership just in case you get stranded (which isn’t a bad idea). 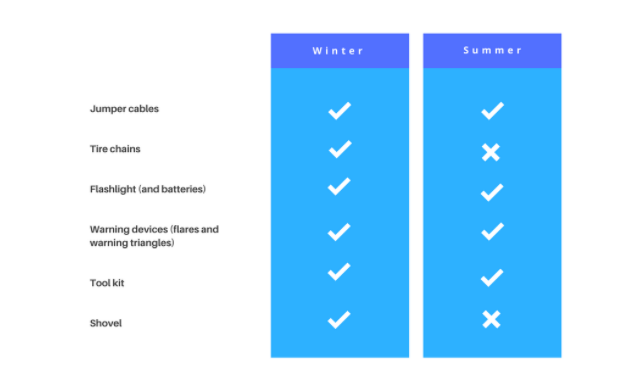 With all those recommendations and the costs that come with them, it’s easy to say that justifying the idea of not spending another dime on winter equipment. 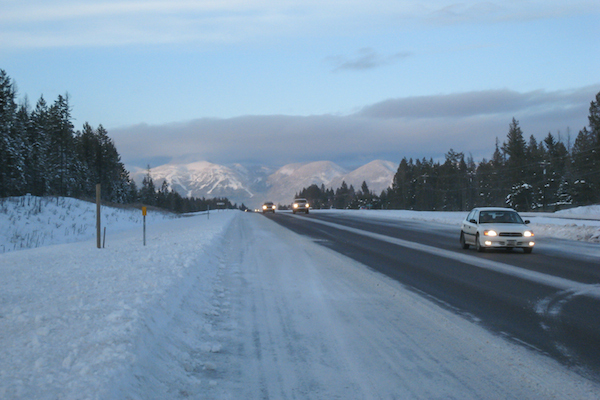 No safety feature or roadside assistance can prevent winter weather from striking. If you get stuck in a ditch, there’s no tire or drivetrain that can pull you out, unless there’s a tow truck around. And going back to the example of what happened in Kentucky, that tow truck might take a long, long time before it reaches you. And if in that time you’re stranded, especially if it’s in the middle of nowhere, you may have no heat, no food and no reception. You’re on your own. With that said, you don’t have to endure such a dim scenario if you’re prepared – that’s where your emergency kit comes in handy. Putting an emergency car kit together can get tricky real fast. What items belong in the kit? Where should you buy them? How much should you pay for them? There’s a lot to think about – perhaps a reason why people avoid putting a kit together in the first place – but we’re going to make it easy for you. 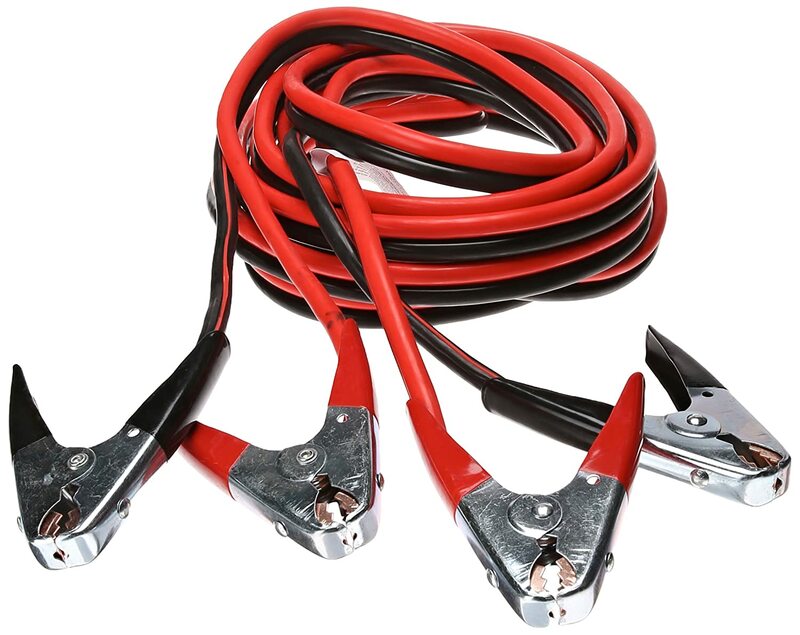 Extreme cold can easily sap a battery of its charge, so it’s a good idea to invest in a set of jumper cables. If another driver sees you and stops, then you’ll get a boost and be on your way out in no time. The alternative to jumper cables are battery boosters, which allow you to recharge your battery without the need of another car. 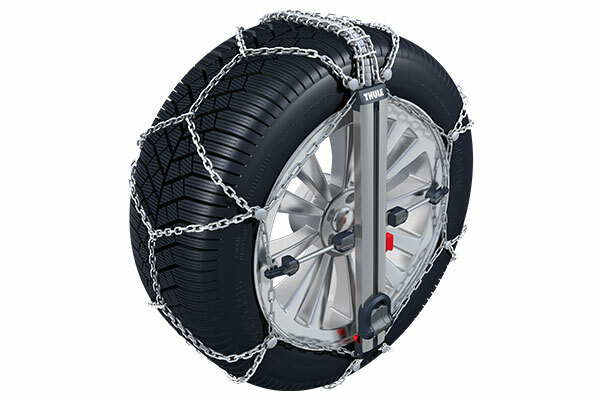 These devices fit around your tires with the purpose of giving them extra traction to push through snow and ice. They might not be the first thing you think of when it comes to winter preparation, but you’ll be glad to have them if you ever get stuck in harsh winter conditions. If night falls and your battery dies, you won’t have any lights on in your car. A flashlight is therefore a necessary tool so that you’re not stranded in the dark. Flares and fluorescent triangles are your friends. If you’re stuck in a blinding blizzard, the use of these tools will make you visible for roadside assistance if they’re nearby. 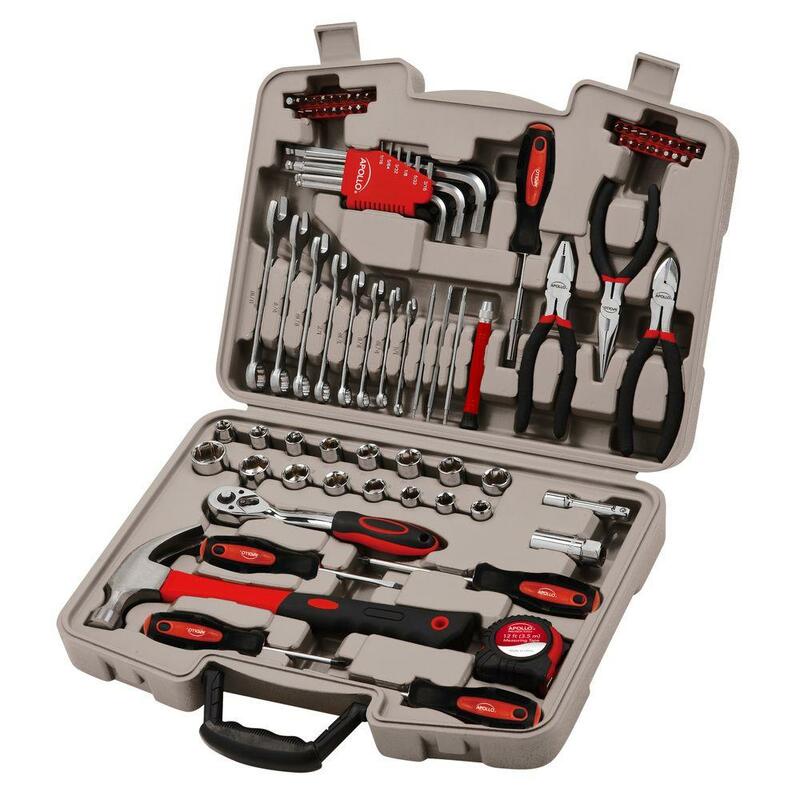 No need to go overboard here, but basic tools such as a screwdriver, wrench and tire pressure gauge and compressor will go a long way. Keep in mind, that people who get stranded in less-than-severe snow storms could have escaped if they had the right tools. This goes without saying – it is winter after all. In some cases, you might be able to dig yourself out of a snow bank – as long as you have a shovel of course. For obvious reasons, it’s not safe driving with a layer of ice on your windshield. 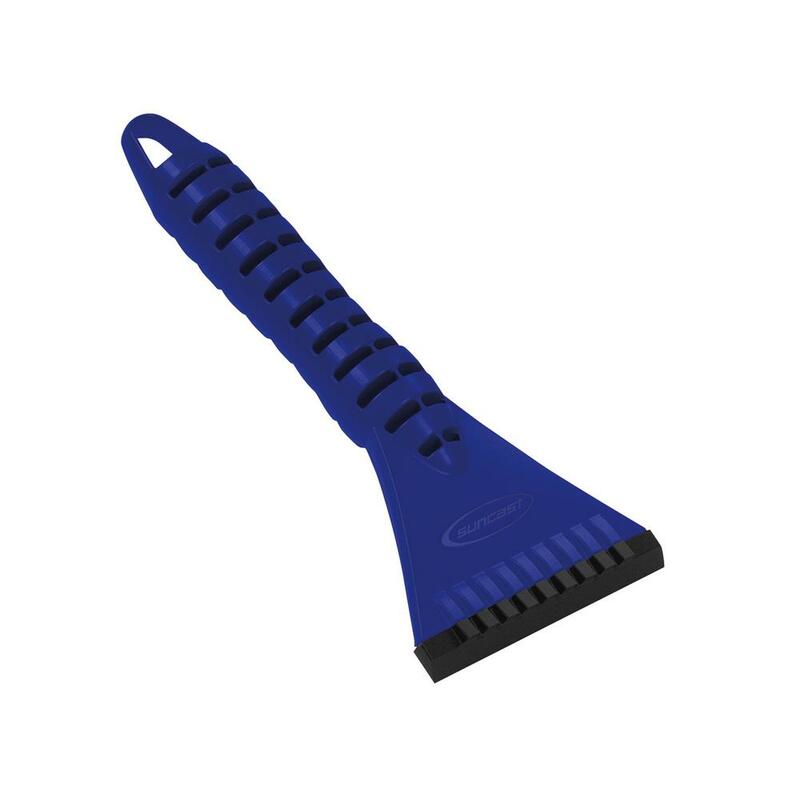 You’ll need an ice scraper once you’re able to drive out, so that you’re not looking at a blurred landscape. Again, not all snowstorms mean you’re stuck. 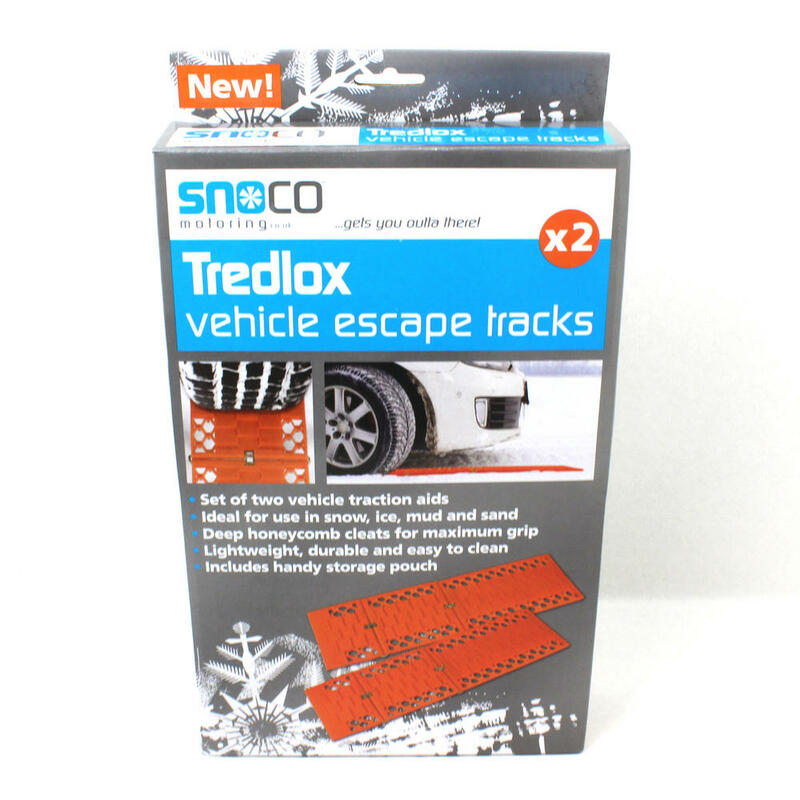 A traction aid such as salt, sand or an escape track when spread out can give your tires gripping power and let you drive out to sweet freedom. Yes, phones are a lifeline in bad weather – assuming they’re charged and can receive/send calls and messages. 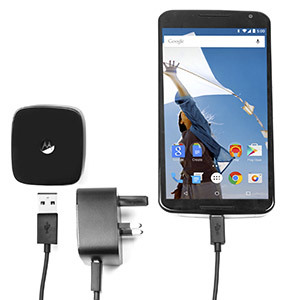 Keep a charging kit with you so that this lifeline doesn’t die out on you. 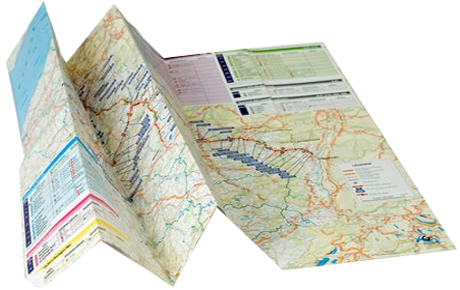 Those good old paper maps might come in handy if your phone dies, because hey, you won’t have Google Maps to help you if you’re lost. Hopefully you won’t have any injuries, but if you get a cut or bruise or some other minor injury on the road, you’ll need a first aid kit. Let minor injuries stay small by keeping a kit to treat them. The youngest members of your family won’t magically potty train themselves if you’re stranded in snow. 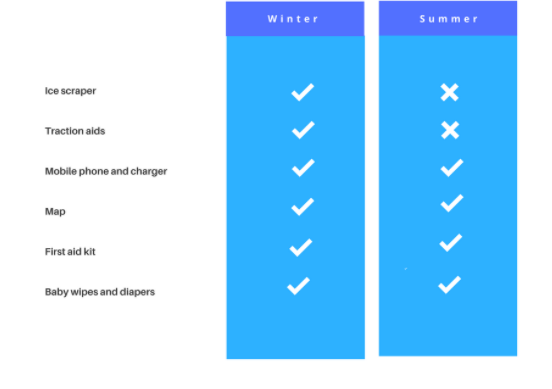 Keep baby wipes and diapers on hand so that the weather is the only mess you’re stuck with. Thick clothing will keep you warm if you’re out of gas and have no heat. Gloves, scarves, sweaters and any other items that’ll keep you warm and cozy will fit the bill. Warm clothes might not be enough, especially in extreme cold, so keep some blankets to add an extra layer of warmth. Wool blankets, for example, are some of the warmest you’ll find. Get in the habit of bringing medications with you, especially if you have to take them at certain times. You don’t want to be stuck on the road when it’s time to take your medicine, only to realize that it’s at home in the medicine cabinet. Dehydration is dangerous, even in winter, and it happens faster than you realize. 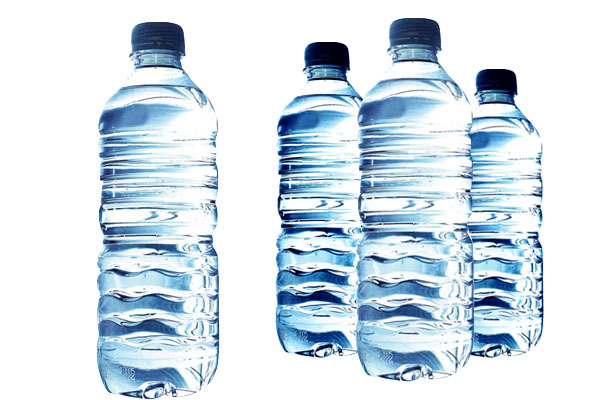 Always keep bottled water in your car to prevent dehydration and the negative effects that come with it. You might not be able to just walk out to McDonald’s, so you’d better have food on hand. Now we’re not nutritionists, but we’d recommend storing healthy food that will energize you and keep you alert (ie. nuts, protein bars, dried fruit). There are other tools that you can throw into an emergency car kit, but the ones listed above are largely the ones you need most. The other stuff is mostly extras, such as entertainment, which wouldn’t hurt to have if you’re stranded for a few hours. So now you know what you need, but how do you pick it? It’s an important question to answer because not all emergency gear is made the same. A frustrating thing that can happen is to buy a ton of winter gear, then have it fail in the midst of an emergency or realize it wasn’t an essential item. That would feel like a slap in the face. So we’ve listed some criteria below for you to look at when deciding where to buy your emergency tools. More importantly, this will help you separate the products that’ll actually work from the ones that are duds. Don’t pick the first shovel or flashlight or jumper cable set you see. The internet speaks, and it does so honestly. Read reviews for particular items and pay attention to the feedback certain brands get. Four and five-star rating are your best bet, and make sure to skim through some of the comments to see specific praise or criticism about an item. An emergency kit will cost you a few extra dollars, but it shouldn’t feel like you blew your paycheck. With that said, don’t expect to build an emergency kit at dollar store prices. Again, skim through the comments if you’re buying online, because people will always mention price in their reviews. If you’re going to buy items from a physical store, check their flyers or use apps such as Flipp to do quick price comparisons. Closely related to the first two points, it’s a good idea to get familiar with the store you’re buying from, whether it’s online or physical. For example, you could buy a cheap flashlight at the corner store. Or, you could take it up a notch and buy one at a well-known hardware store that sells car equipment. It’s quite obvious which one would have the items that bring the best bang for your buck. What if We Have a Mild Winter? Will it be a Waste? Don’t assume that the recent pattern of mild winters will continue, and don’t believe everything the meteorologists say. Remember, they’ve got a license to get things wrong – a lot. But even if we have a mild winter, buying an emergency car kit wouldn’t have been a waste. Most of the items in the kit have year-long uses. 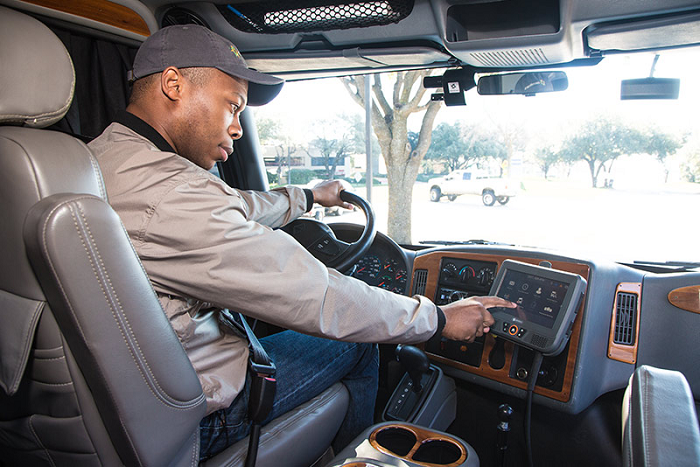 Extreme weather can leave you and your family stranded during other times of the year, and roadside breakdowns can happen in the best weather. And trust us, an emergency kit will help you at those unexpected times. You’d no doubt thank yourself for having an emergency kit if you had to face one of the scenarios mentioned above. The only tools which you wouldn’t use would be those dedicated to handling snow, which are only a few. 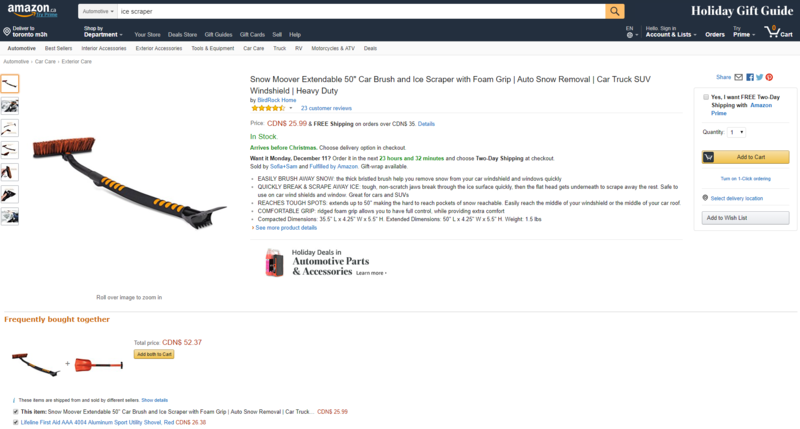 Look at how useful a “winter car kit” would be at virtually any other time of the year. 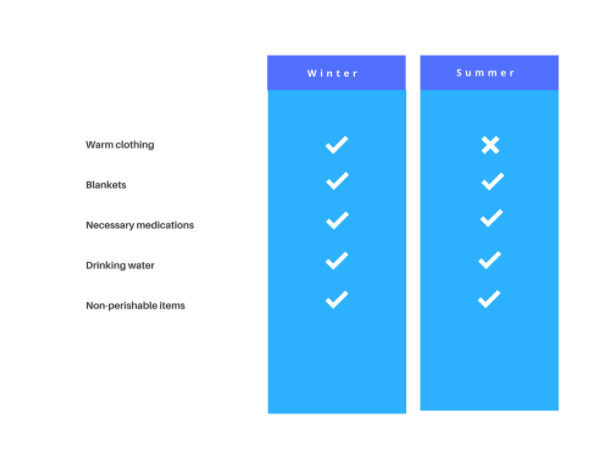 Every item we suggested that should go into your winter emergency kit can easily travel with you year round, with the exception of three items. You can keep the tire chains and ice scrapers at home during the warmer months. 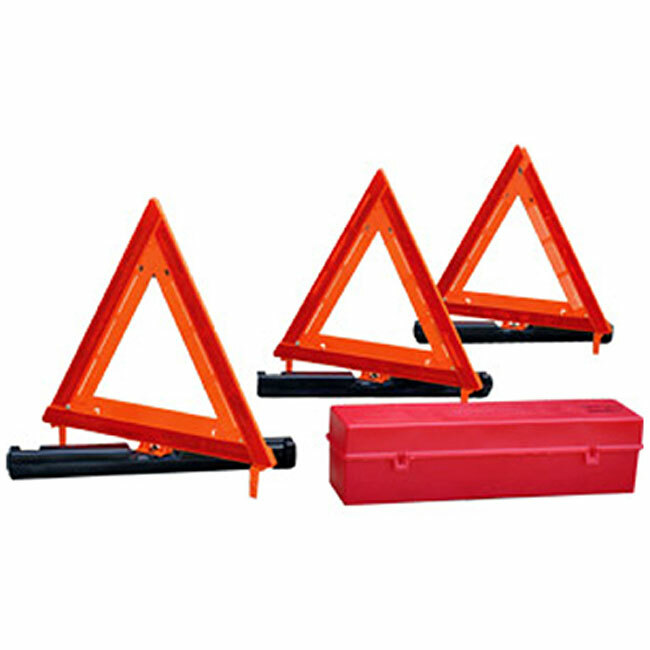 Same for traction aids. We can make a case for taking your shovel in the summer. You never know – in the summer you could drive into some sort of ditch and maybe a shovel can help you get out. Also, when it comes to warmth and comfort, you can skip bringing winter jackets but a blanket can come in handy for summer drives. If you were to get stranded at night in the middle of nowhere, the natural drop in nighttime temperature could no doubt give you the chills. Of course, a blanket would keep the goosebumps from flaring up. But aside from the few winter tools on the list, every item you should throw into the kit can stay in your car year round. 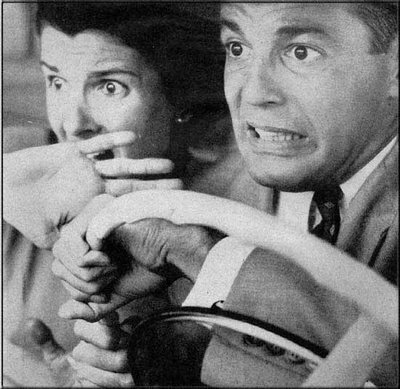 With that said, maybe we should have titled this article, “Why an Emergency Car Kit is a Must-Have at Any Time of the Year”? With everything mentioned about winter preparedness in this post, we suggest giving your emergency car kit some serious thought. As the stories of those stranded drivers in Kentucky point out, no one is immune to the onslaught of wicked winter weather. The last thing you want is to get stranded somewhere on a cold day with no food and little warmth (or with just a bottle of soda to drink). So start now. Take a look at the items mentioned in this post and use it as your shopping list. If you hear or see other reasonable items to put in your kit, make sure to check them out as long as they’re affordable and practical. And of course, don’t forget to winterize your car. 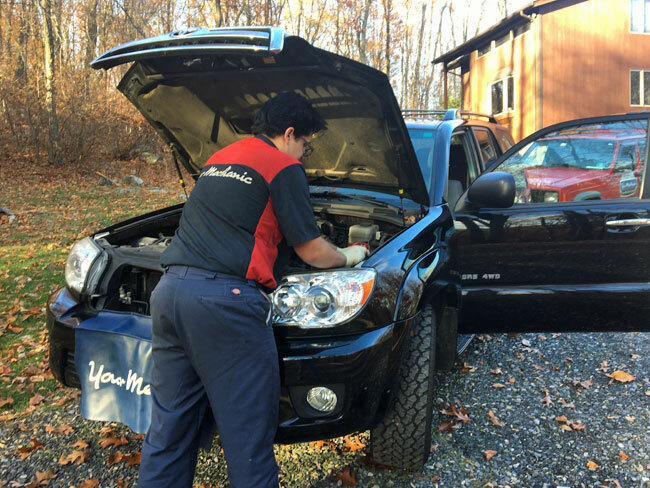 If you need tips on how to get your car ready for the winter, we’ve got you covered.